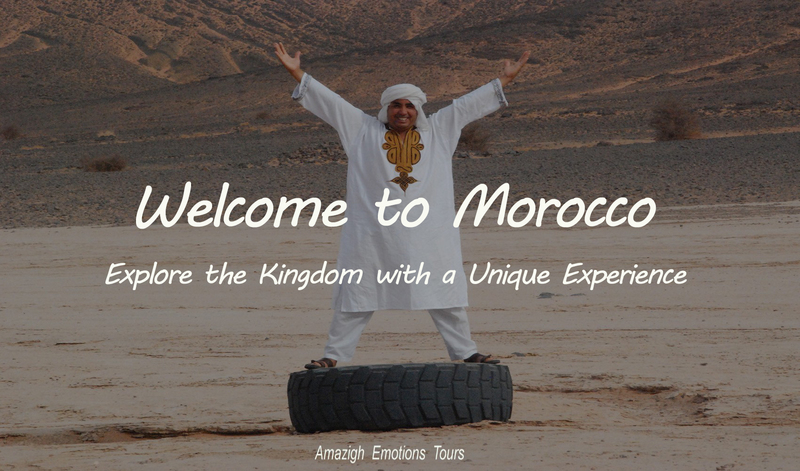 Day 1: Tangier - Chefchaouen - Fez (360 km): On this first day of your journey, we'll meet you in Tanger and driving through the beautiful views of the Rif mountains via Tetouan city "The white pigeon". After your arrival in Chefchaouen, this stunning and blue-white village, you have the opportunity to visit its medina with his famous square. Then we continue to crossing this nice nature directly to Fez (the lunch will be in Chefchaouen or in the road). 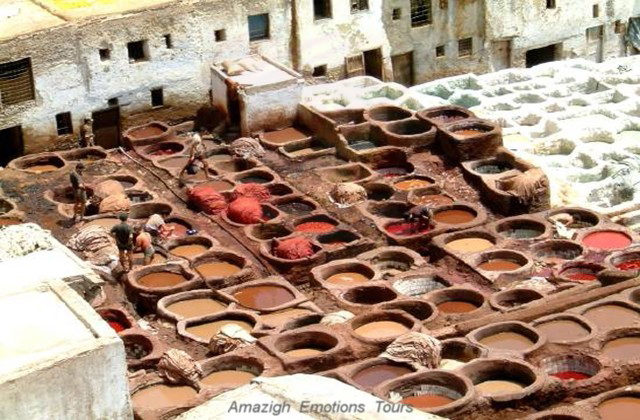 Arrival in Fez city and visit of the Merinids tombs with the wonderful panoramic view over the whole Medina and neighborhood of the local pottery, then the overnight in a Riad/Hotel. 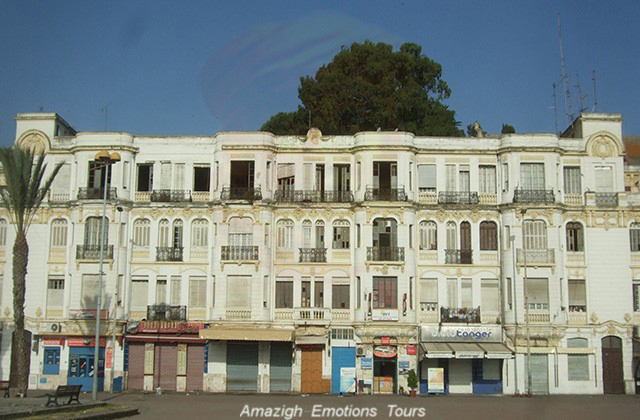 Day 2: Fez - Sightseeing - Midelt (210 km): In the morning you will have a guided city tour dedicated to the discovery of Fez, the oldest city in Morocco, founded by Moulay Idriss II. 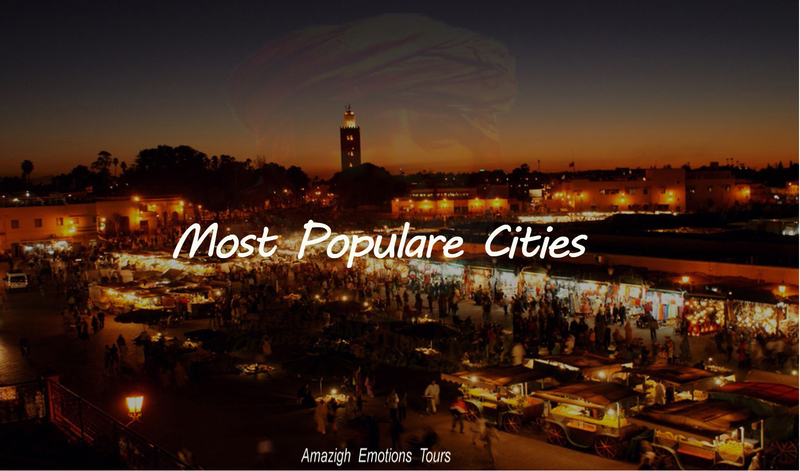 Visit the door of the Royal Palace and the Jewish quarter by side, the first Mellah built in Morocco in the 16th century, then visit the Medina with its souks, the madrasa Bou Inania, instead Nejjarine and Karaouienne Mosque (the first university in the world). 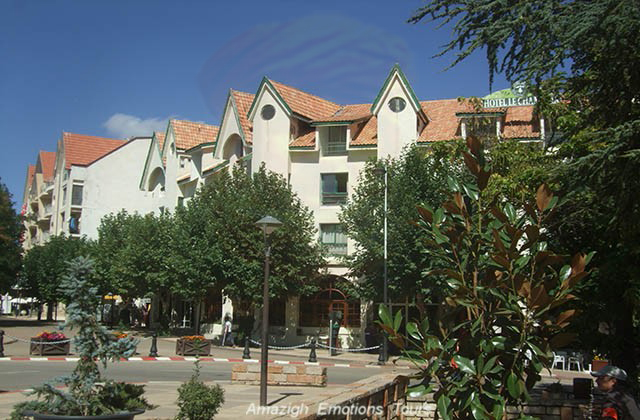 After lunch, we drive to Midelt (the city of apples) via a photo stop in Ifrane (Switzerland of Morocco) and the cedar forest with monkeys of the Middle-Atlas in Azrou. Arrival in Midelt and overnight in Riad / Hotel. Day 3: Midelt - Errachidia - Ziz Valley - Merzouga (260 km): In the morning, we'll go south to Sahara Erg Chebbi through the Hight Atlas by Tizi n'Talghmt (1907m). 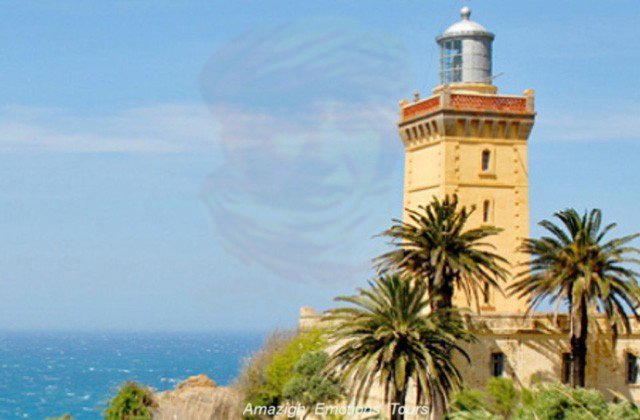 After we enter the Ziz region with its beautiful valley and gorges, we arrive at Errachidia always remaining with beautiful views of the valley and oasis Kasbah pre-Saharan. 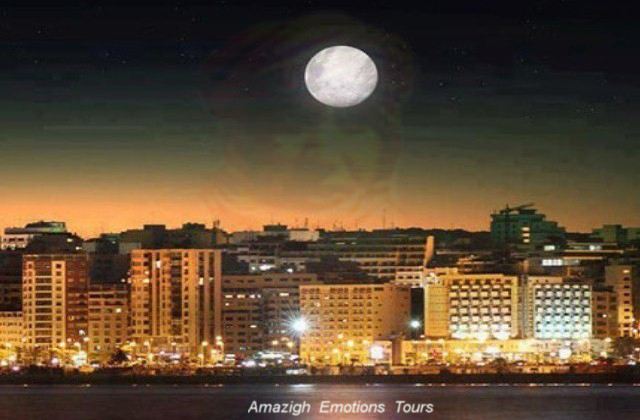 We will visit the marble factory and fossils of Erfoud and a former Ksar called Abdel Halim Rissani. 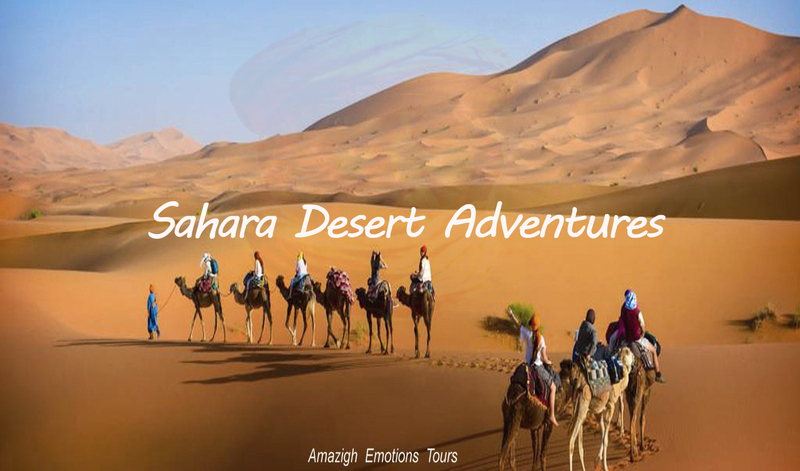 Finally we continue with desert landscapes to reach the dunes of Merzouga. Dinner and overnight in a Hotel/Kasbah where in a private bivouac in the desert comes with an excursion on camels ... etc! Day 4: Merzouga - Toudra Gorges - Dades valley - Roses Valley (350 km): Early morning get up to watch the spectacle of sunrise from above the sun dunes. Then breakfast and a shower at the hotel. 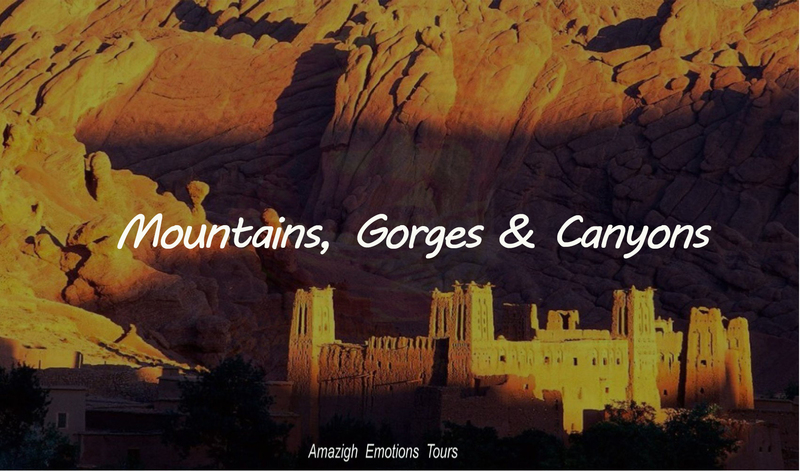 We drive through the mountains of the Anti-Atlas through small towns like Erfoud, Jorf with its ancient irrigation systems, then the Todra Gorge where a short walk is recommended after lunch. In the afternoon, we will continue on the road of a thousand kasbahs in the Dades Valley to reach the end of evening rose valley. Dinner and overnight in a Kasbah/Hotel. Day 5: Roses valley - Ouarzazate - Ait Ben Haddou - Marrakech (310 km): After breakfast, we will travel through Ouarzazate (quiet city) at a photo stop at the old demure Pacha Glaoui and our Hollywood village that became celebrated as a center of films. Continued way on the famous Ksar of Ait Ben Haddou declared a Unesco site along the Ounilla Valley heritage. After lunch we travel to Marrakech with a beautiful panoramic view of Hautt Atlas with Berber villages, and then via the Tichka pass (2260m). Arrival in Marrakech in late afternoon and end of our journey. 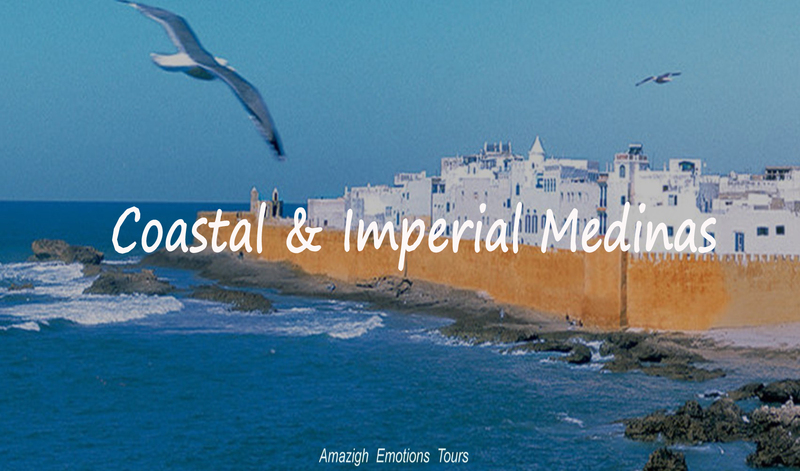 Day 1: Tangier - Asilah - Rabat - Casablanca (340 km highway): The first day you meet in Tangier, the gateway to Africa from Europe and driving along the beautiful coastal route through beautiful cities of Asilah and Larache with its whitewashed walls and blue ... After lunch in Rabat, your visit to our administrative capital include the Hassan Tower with the Mohammed V mausoleum and the former Oudayas Kasbah (the old medina of Moriscos) overlooking the Atlantic ocean and offering fabulous views. After we continue to Casablanca, dinner and overnight. 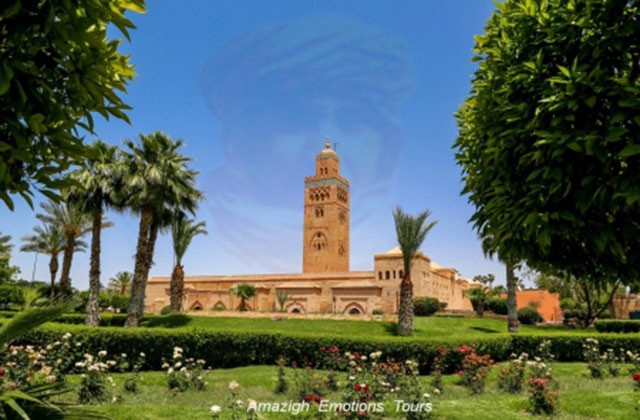 Day 2: Casablanca - Marrakech (250 km highway): After breakfast and before heading to Marrakech, we will visit the majestic Hassan II Mosque (the second largest mosque in the world after Mecca) in Casablanca, the largest city and commercial capital of Morocco. 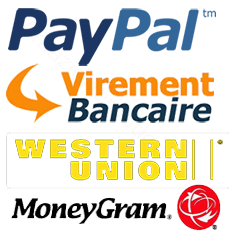 After the continuation of our road to the highway to Marrakech and check you in your home. You take rest before exploring the lively Jemaa el Fna and its historic Medina which become a major market in the region. Day 3: Marrakech - Ait Ben Haddou - Ouarzazate (225 km): In the morning you will have a guided tour to discover the most important places in the Pearl of the South, the Koutoubia Mosque with its garden overlooking the city center, the Saadian tombs, the Bahia Palace and Ben Youssef Koranic school. After lunch, we drive to Ouarzazate through the High Atlas via Tizi Tichka (2260m). Visit the famous Kasbah of Ait Ben Haddou where they filmed many movies and declared by Unesco as World Heritage. 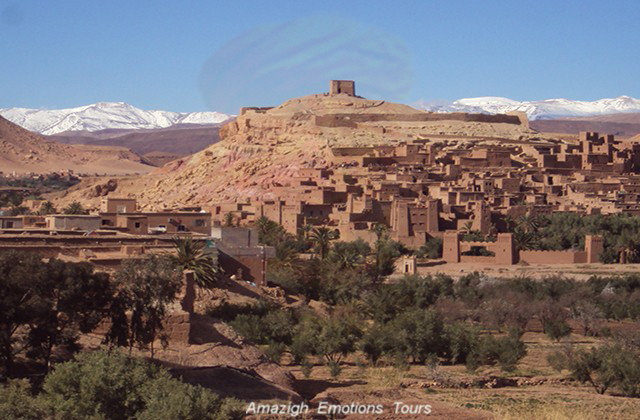 After a photo stop at the studios of the center and the Kasbah Taourirt which presents the old Ouarzazate. Overnight in Riad/Hotel. 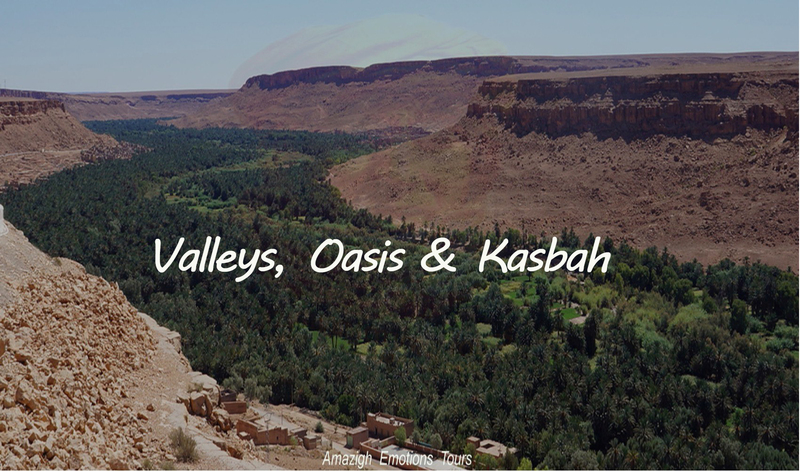 Day 4: Ouarzazate - Dades Valley - Toudra Gorges - Merzouga (360 km): After breakfast, you will travel to the Sahara desert Erg Chebbi through the thousand kasbah offering many opportunities to take photos. We will visit the Dades Valley, the Todra valley with a short walk between its spectacular gorges after lunch. 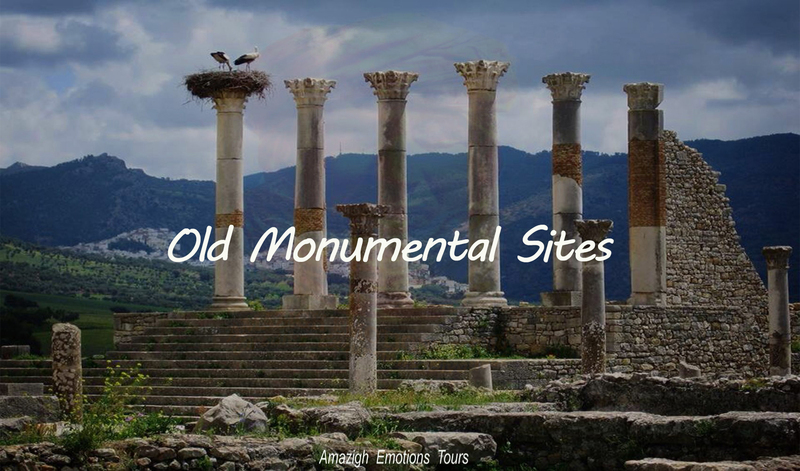 Then continue via foggaras (ancient irrigation systems) in Jorf, the factory of marble and fossils of Erfoud. 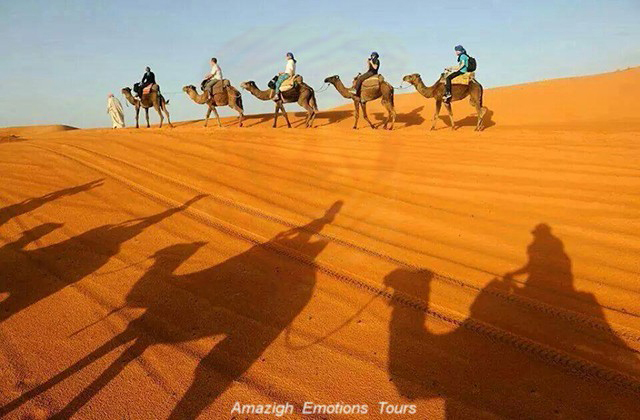 Finally we come to the feet of golden dunes of Merzouga before sunset and overnight in a Kasbah Hotel, where in a private bivouac in full desert with camel riding ...! Day 5: Merzouga - Errachidia - Azrou - Fez (460 km): After you return from the desert caravan, you take breakfast and shower. 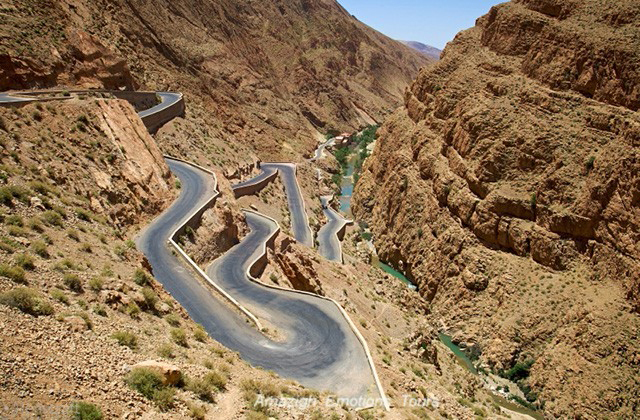 We will ride to Fez through the fascinating Ziz valley dotted with palm trees and fortified Berber villages enjoying beautiful panoramic views. After crossing the High Atlas by Tizi n'Talghmt (1970m), we arrive at Midelt (the apple capital) and lunch. 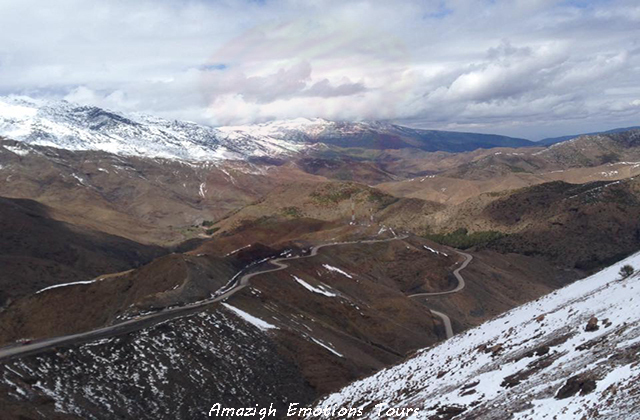 Afternoon we will continue via the Middle Atlas by the passage Zad (2178m) with a photo stop at the cedar forest of Azrou and Ifrane (Switzerland of Morocco) to reach Fez late evening and end of our services.